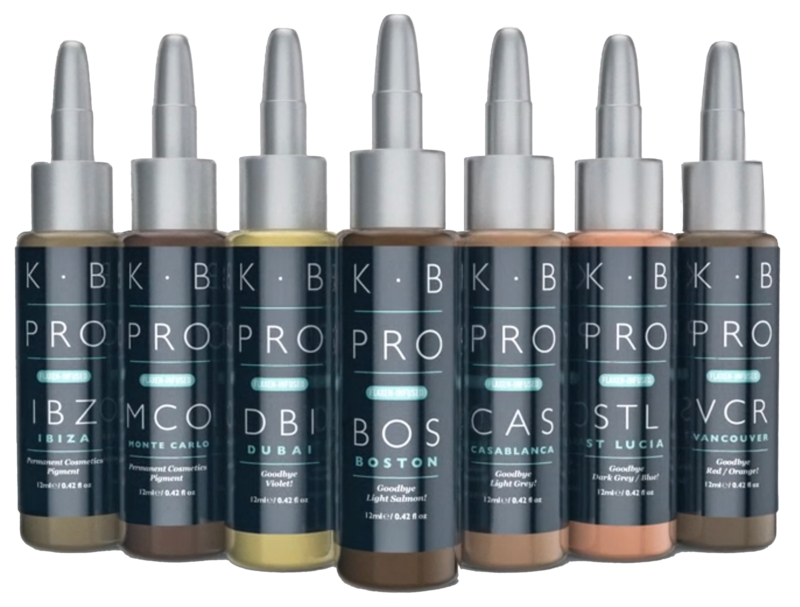 The second generation brow pigments from KB Pro®. Our triple award winning permanent makeup brow pigments just got even better! The innovative formula, created by Karen Betts, brings you ART infused by science. Passionate about innovating in the world of permanent makeup and microblading, Karen never sits still! Working with leading chemists and her elite team, she’s constantly working to introduce the latest advancements to our permanent make up product range. Through extensive research and personal testing, Karen identified common problems with pigments on the market today. Our Flaxen brow pigment range is specifically designed to avoid all of these competitor pitfalls. Our brows pigment line offers more choice than any other pigment range and contains skin-kind humectant ingredients that help the skin to retain moisture. This can aid healing after treatments. The addition of antiseptic properties in our sought-after pigments means that the wellbeing and safety of your clients is always at the forefront. Our pigment line is one that you can trust. Our Flaxen-Infused pigments give your clients a more natural fade over time with less unwanted warmth residue. They are the perfect formula for the long-lasting, beautifully natural brows that clients desire. In some instances, the brows will require less passes which will reduce the treatment time and cost to you, the Artist. Some colours can be used neat without the need to mix, and with the aid of our comprehensive Professional Colour Guide that comes with over 80 detailed brow case studies, our pigments are easier than ever to use. Browse through the guide to see the healed results of our pigments on different skin types and tones, and pick up top tips from Karen and our Elite Artist Trainers on mixing and diluting our pigment range. 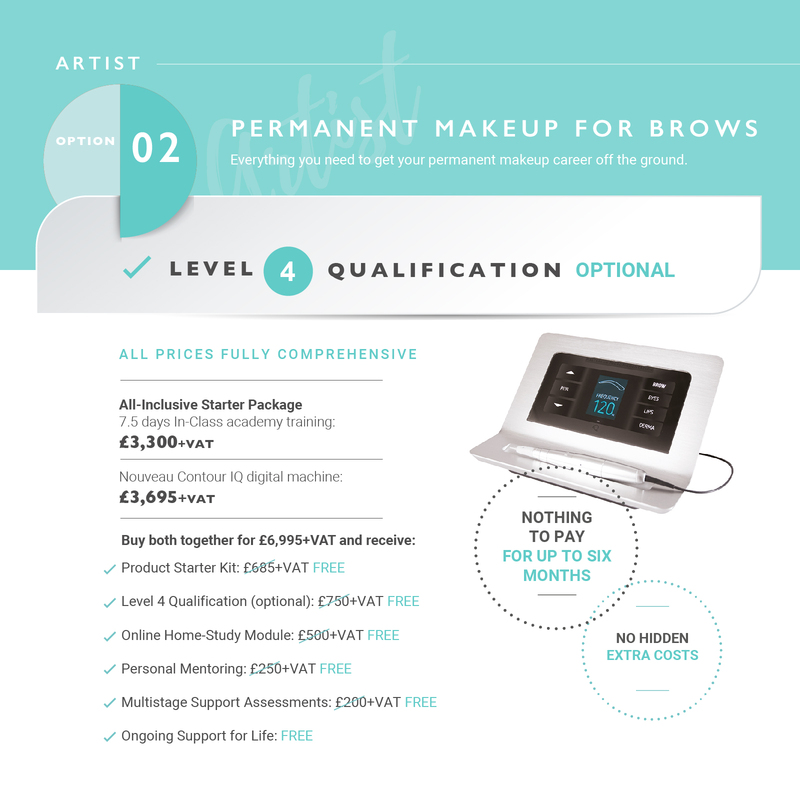 Get in touch with one of our permanent makeup training specialists for more information.